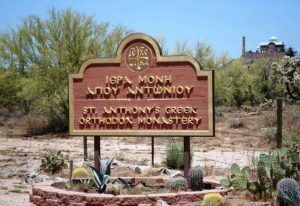 The entrance of St. Anthony’s monastery in Arizona. The Orthodox Christian Organization (OCL) during a recent meeting adopted resolutions relating to monasteries that operate in many parts of the United States. The Christian Newswire reported on the issue as well. The National Herald has reported many times about the issue of the monasteries and more specifically about their ecclesiastic belonging, theological teachings, and financial issues. There are 18 total monasteries and nunneries in the United States. Technically, these monasteries are under the ecclesiastical and canonical jurisdiction of the Greek Orthodox Archdiocese of America and consequently, the local metropolises in which operate. Actually, though, they are under the total control of the priest monk Ephraim and his close associates, whose headquarters are at St. Anthony’s monastery in Florence, AZ. Fr. Ephraim, founder of the monasteries in the U.S.
TNH reported that a few years ago the Archdiocesan Council, with the insistence of its late Vice Chairman Michael Jaharis, had instituted a special committee to conduct a thorough examination of the monasteries, including their finances, but the issue was stalled because the metropolitans did not cooperate with the committee. TNH has learned that a fundamentalist movement has been created in the Archdiocese, deriving from the monasteries called “Ephraimism.” Many priests in the parishes have been influenced, and consequently, they pass their influence onto their parishes. Even at the School of Theology in Boston there are fanatic followers of elder Ephraim. 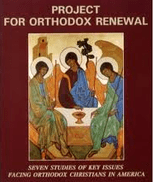 “OCL respectfully calls upon the Eparchial Synod of the Greek Orthodox Archdiocese of America to enforce its own Regulations relating to the Monasteries operating under its auspices in the United States; that each metropolitan who has monasteries within his metropolis require full compliance by those monasteries with the letter and spirit of those Regulations; and, that all information concerning the operations of those monasteries, including but not limited to financial disclosures, be made public. The Resolutions were adopted after the Board reviewed the provisions of the “General Regulations for the Establishment and Operation of Holy Monasteries in the Greek Orthodox Archdiocese of America” [Protocol #95] issued by the Ecumenical Patriarchate on February 16, 2005. The Regulations are set forth in the Official Documents of the Archdiocese on its website (goarch.org). The Elder Paisios of The Holy Mountain now proclaimed a Saint by our Orthodox Church in less then twent years is by the OCL standards considered a Fundamentalist. A considered quack like St John the Baptist or St. Anthony The Great…the eighteen Holy Monasteries under the spiritual umbrella of Elder Ephraim are eighteen miracles of unbelievable growth and spiritual attraction. The Cosmas or simple faithful know when they witness The Holy Spirit in their presence, this is why without fundraising the Monasteries are what we all witness and without the financial aid of the Hierarchy or established Church are cared for by the simple minded Yia Yia and Papou’s…If you wish to learn about an Athonite Monks life and teachings read Saint Paisios of Mount Athos by Hiermonk Isaac, Holy Monastery of Saint Arsenios the Cappadocian and The Counsels From The Holy Mountain 1999-2010 St. Anthony’s Greek Orthodox Monastery…selected from the Letters and Homilies of Elder Ephraim. Before judging take a week long pilgrimage to any one Monastery and see and feel the presence of God. It is always nice hearing from old, long-time OCL supporters! Accountability and Transparency are OCL goals that I am sure you continue to share. 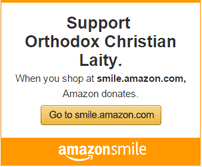 A careful reading of OCL’s resolutions will reveal that all that is called for is for the monasteries operating under the Greek Orthodox Archdiocese of America to comply with the Church regulations under which they are authorized to operate in the US. In addition to operating under the Archdiocese, they are all organized under State corporate not-for-profit statutes and enjoy Federal Tax exempt status. If all of their funding has come from “simple minded Yia Yia and Papou’s”, there should be no issue about having them submit detailed financial statements to the Metropolitan’s under whose omophorion’s they operate and for those financials to be disclosed to the faithful. OCL has not opined on whether these monasteries are “fundamentalist”; or, whether they represent “healthy” monasticism; or, whether they are a “cult”. Those judgments should be made by theologians and the Metropolitans who are charged with supervising them. Thank you George for your succinct and focused point. To me, non-compliance with this alone speaks volumes. Even the perception of indiscretion is rebuked by scripture. The Dokos situation is one such example of what can happen when there is no accountability. I take great exception to your assertion that “Gerry Demetriou [sic. 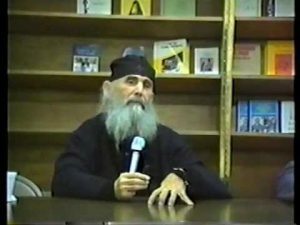 proper spelling “Jerry Dimitriou”] who is employed by the Greek Archdiocese was responsible for reviewing the Greek Orthodox Monasteries and found them to be in reasonably good order for their book keeping”. I served on the Monastery Task Force later renamed the Monastery Review Committee (“MRC”) for the GOA. We were appointed by the Archbishop to the MRC in October of 2010. This very topic was an issue and a point of investigation. I personally have spoken to him (Jerry) often on this very topic. I have heard him and many others say the exact opposite of your claimed “Blessing”. Herein lies the problem: people who support the Elder’s movement will say anything to cloud the issue. Clearly, the issues are not the receipts given to small donors. Thank you Bill Stotis for your comments! Greetings to Mr. Carris who I have know for over 35 years! For the record, I never reviewed financial statements provided by the Monasteries and said they were in “good order”. As Bill Stotis knows, the members of the Monastery Review Committee MRC (of which I was a participant) requested financial statements from ALL of the monasteries but NEVER received most of them. The ones we did receive were insufficient and incomplete. The MRC obtained financial statements of the Monasteries that were filed with their state or filed when they were purchasing properties and not directly from the Monasteries. The financials that we found, were significantly different and showed substantially more assets than those provided by the Monasteries to their Metropolitans or the MRC. The Monasteries in the United States are NOT following the regulations set forth by the Synod nor are they complying with the direction of their Metropolitans. They are functioning independent and do not follow the rules or the direction of their Metropolitans in most cases. I hope this clarifies some of the statements made above. Bill Stotis’ comments are exactly on point. Thanks and have a Kali Anastasi and Blessed Pascha ! Though monasteries are not required to file 990’s for the actual monastery, their members do have to submit files for the various shell companies they create. These records are easily found on government websites for corporations, nonprofits, tax exempt corporations, etc. Most of the monasteries also incorporate a business that is separate from the Monastery, such as Archangels Winery in Texas. Such corporations are separate from the monastery and in some cases have to submit records of financials. Anything that the monasteries or their side hustles and shell corporations have submitted to the government can be accessed (usually for a minor cost) if you know where to look. For instance, St. John the Forerunner Greek Orthodox Monastery is a non-profit organization registered under the title “Greek Orthodox Holy Monastery Of St. John The Honorable Forerunner” with the IRS (EIN: 91-1732560) and has $0 to report or claim and no obligation to file 990’s. Archangel Michael Christianorthodox Cemetery Ltd.(EIN# 20-8741575) which is “in care” of a monk from St. Nektarios Greek Orthodox Monastery is not required to file 990’s (they charge $10,000+ for a plot). The monastery itself is not listed on the IRS site. You need to cross reference the names of the various monastics with the various corporate and non-profit websites of the states the monasteries are in. Though they sometimes create shell companies out of state, the physical address is still in the state where the monastery is located. Searches should include full wordly name; monastic name with worldly surname, and monastic name with “father”, “sister”, “abbot” or “abbess” as the first name. Also, lay pilgrims who are really close to the monasteries will also sign on as principals. This is also the way you can find the other “secret” monasteries Elder Ephraim has been establishing throughout the US. Even though Spyridon told him “no more monasteries”, he continued to buy various properties in preparation for when it would be blessed.